Milestone developments by the FICEP engineering team to enhance industries productivity. 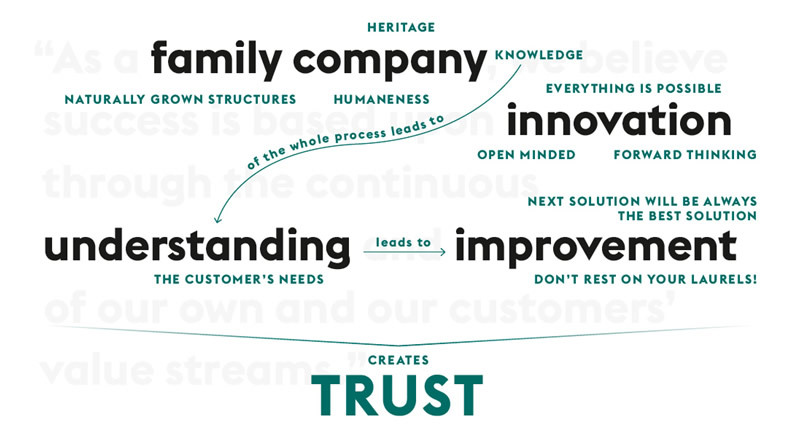 As a family business, founded in 1930, we believe success is based upon innovation through the continuous understanding and improvement of our own and our customers' value streams. 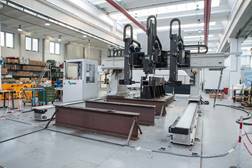 This philosophy of always being the industry's innovator has translated into unprecedented growth to become the largest machine tool manufacturer of structural steel and plate fabrication equipment in the world today. 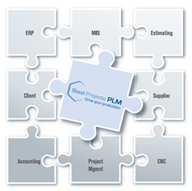 The graphic below illustrates our focus and commitment to our business partners. In the 40's we started to extend our innovative technology to the area of machine tools for the fabrication of structural steel - first in the area of mechanical ironworkers and later in the 60's into the area of automated drill, saw and angle lines. This technology, the first available to the industry, is keeping with our commitment to be the first with innovative new processes for our business partners. The article, Reinventing Construction Through a Productivity Revolution by McKinsey best states the productivity challenge that our industry faces when compared to the general manufacturing sector of our economy. The basis of this report highlights why it is essential that our mission must be to drive innovation to levels never previously thought to be attainable. The FICEP inventions explained below are significant firsts, but as you can conclude from the McKinsey article, we are just scratching the surface. Thus our corporate commitment to our partners is to constantly reinvest our profits back into product development to help promote the competiveness of structural steel as well as their businesses. Listed below are just some on the many innovative industry firsts that have been engineered by FICEP to strengthen the competitiveness of our business partners. 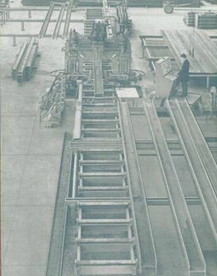 FICEP was the first firm to innovate an automated one-pass beam drill line for the industry in 1966! In conjunction with HMB, FICEP innovated high performance drilling of structural steel in the 90's using carbide technology for feed rates of up to 48" (1200 mm) per minute. FICEP innovated direct drive spindle technology in 2009 to reduce the number of parts and deliver 100% of the motors power to the tool. FICEP invented and patented the innovation of incorporating sub axis positioning for each spindle in a drilling line for performing multiple operations and functions. This innovation permitted spindle utilization on all three faces of a structural steel section simultaneously even when they do not share the same length axis. 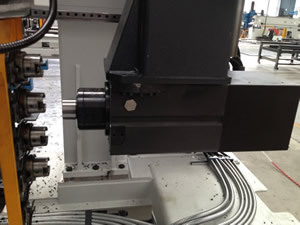 FICEP, using the capability of drill spindles with a sub axis positioning, innovated diverse milling routines to expand the versatility of their drilling lines for structural steel. In 2002 FICEP introduced to the industry the first fully automatic system that later became known as Intelligent Steel Fabrication. This innovative technology eliminated the need for an operator to operate and coordinate the material handling system to the respective CNC lines. FICEP pioneered the innovation of ball screw spindle feed system for carbide drilling of structural steel some 25 years before the competition started to abandon hydraulic feed of drilling spindles. 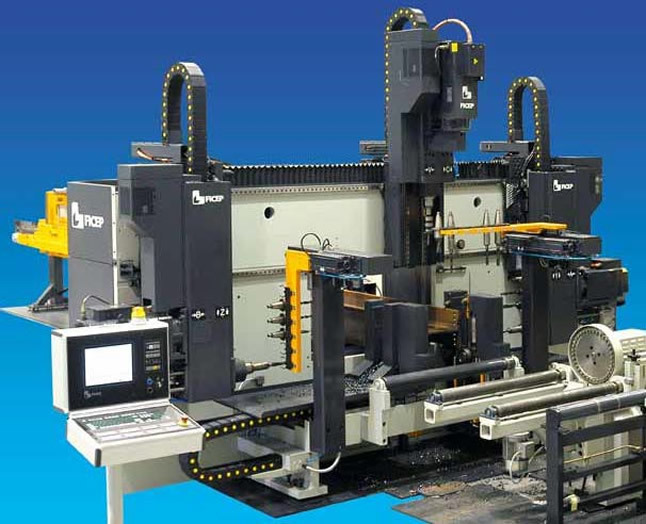 Multitasking CNC Technology was engineered and introduced to the market by FICEP for production cell innovation using the concept of tandem sawing/thermal cutting with drilling. 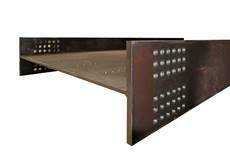 The traditional method to fabricate bridge girders was to manually layout the girder, use portable drills to generate the holes as part of the lay down process to confirm accuracy. In 2009 FICEP developed new technology to eliminate the manual labor, the lay down process and free up vast shop space. FICEP started in 1985 the development of a platform of integrated software solutions that automates the processes from the 3D model to the completion of the fabrication process.